Nalea Realty hired GKA Architects to design an addition and interior improvements to the Penthouse of its apartment building located in Manhattan's Upper West Side. The building is located in a Landmarked District and therefore the project required NY Landmarks Preservation Commission [LPC] Approval prior to obtaining a building permit. 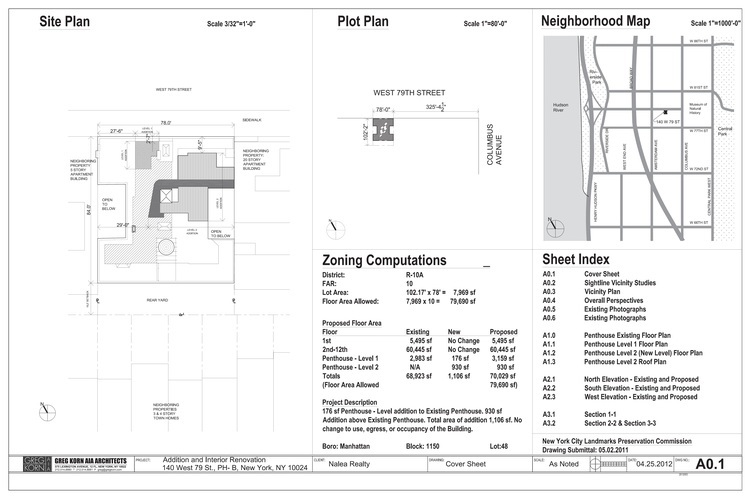 GKA designed the project and modeled the building and surrounding buildings using Revit 3D, in a sophisticated process that sought to emulate the "sightlines" of the project from sidewalks and public places from which the project is required to be "not visible" by LPC. 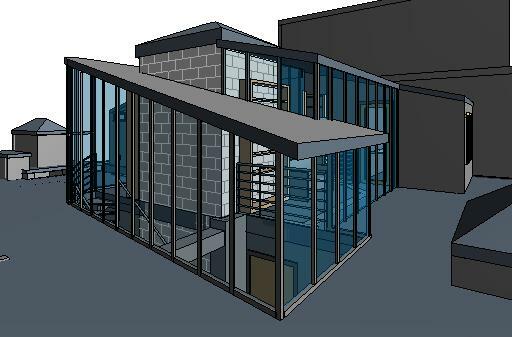 The project included redesign of the foyer, living room, bathroom, kitchen, and expansion of the dining room onto the terrace of the existing penthouse floor, as well as a new feature stair leading to a new second level addition with three bedrooms and a mezzanine library.